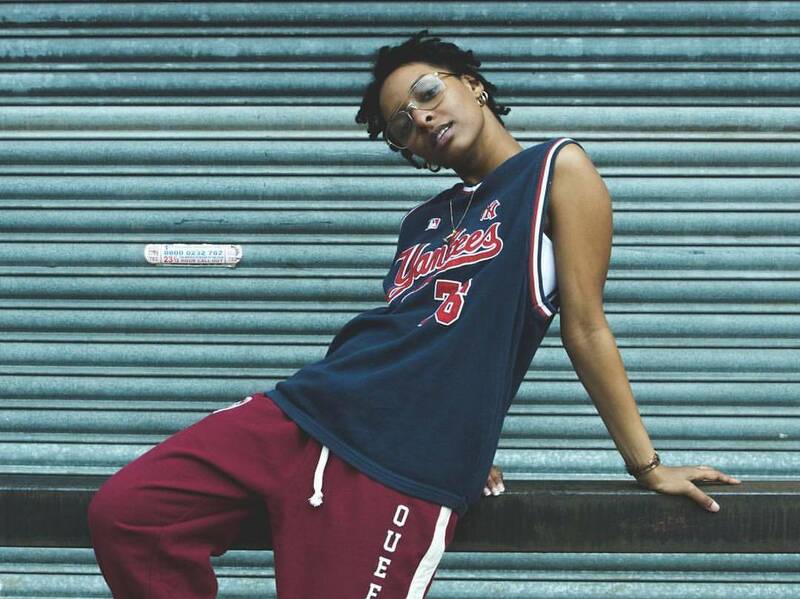 LayFullStop has been adopted by Manchester since bringing her soulful, hip-hop tinged sound over from Birmingham. The independent artist has built a huge cult following on Youtube with tracks like ‘Bohemian Queen’ and with her feature in Children of Zeus banger ‘Fear of a Flat Planet’. She’s become a role model for independence and female empowerment for other Manchester artists. Layfullstop released ‘Colour Reaction’ in 2018, an impressive debut full length album. It’s off the back of this record and her Children of Zeus cameo that she comes to Love Supreme @ Roundhouse, where she’ll play on the Supreme Standards stage. Get tickets. Get to know LayFullStop a little better before Love Supreme’s one day festival on Saturday 13 April. \\ ‘Colour Reaction’ is a brilliant record, it feels quite personal, can you share how you ‘put yourself’ into it? Being personal comes quite natural to me and is actually essential for my peace of my mind when it comes to my music. Whether it’s the lyrics, the jazz, the aggression or lack of, I’m always striving to find better ways of expressing myself. With ‘Colour Reaction’, I wanted to cover all spectrums of my emotional self from being at my highest to my lowest in the form of lyrics, music and colours. \\ ‘Bohemian Queen’ addresses “misconceptions of women and spirituality”. What are the stereotypes that you challenge in the song and in everyday situations? In this new day and age, I’m seeing that it’s a lot more common to be more spiritual than religious. I wanted to create a song that highlighted different practises of ‘spiritual women’ and that it’s not just head scarves, coconut oil and incense; it’s something bigger than that. \\ Tell us about how you got to know the Children of Zeus guys and about writing ‘Fear of a Flat Planet’? When it comes to old skool hip-hop/soul music, these are your guys. It was pretty inevitable that we’d join to make some music but it was all about timing. We finally got in the studio to jam some ideas and I ended up falling in love with the instrumental to ‘Fear of a Flat Planet’. We ended up writing the whole track and the Kings put it on their debut album ‘Travel Light’. \\ What would you like to highlight about music coming out of Manchester? This is music that has been put to bake, cooled down and then some. We really put our all into the craft and not just for our own purposes. We’ve understood how hard it is getting our voice out there, but we’re screaming so that the next generation only need to whisper to be heard. \\ What are you working on at the moment? I’m currently working on some last bits for my ‘Colour Reaction Mixtape’ supporters. I wanna tie it all up with a show in London – yet to be announced. I’m also doing the finishing touches to my new EP coming out this year. It’s actually my favourite so far and is a true testament to how far I’ve come from my first tracks ‘Intact’ and ‘Yin-yang’- I can’t wait to show everyone! Layfullstop plays Love Supreme @ Roundhouse on Saturday 13 April. Get tickets.